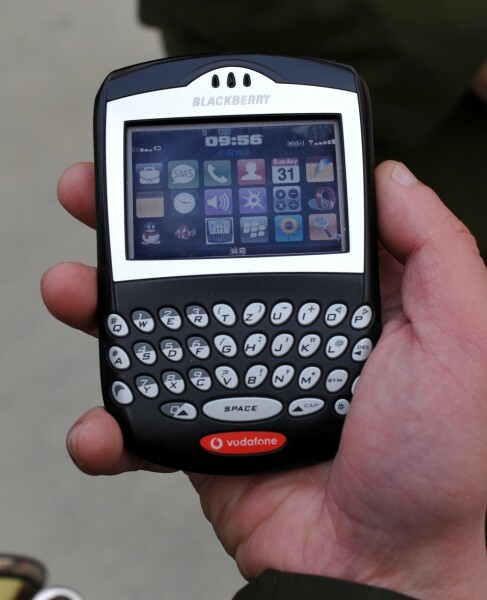 The Black-Voda-Pod, also known as the Voda-Pod-Berry, encapsulates the dreams and realities of China’s average mobile phone user: It is a fake BlackBerry device, sporting a fake Vodafone logo, and running a fake iPhone operating system, including a fake Opera web browser. And it works too. The owner, a local soldier, did not seem to find this to be unusual in any way. “The only problem”, he told me, “is that the BlackBerry Push Mail in not working. It’s just not available in China”. Strange, mine seems to work. Further investigations with local community revealed that the “Emulational Mobile Phone” (山寨手机) is gaining popularity due to its sleek design, low cost, and general appeal. it’s a very common mobile in Vietnam. In my office of 50 persons, there is at least 10 of this mobiles. View the full post at Danwei. Via Frank Yu’s twitter. Well, it looks really close a real BlackBerry.